Auction prices on all but high mileage or otherwise undesirable cars continued to firm up at the first big fleet auctions of the year. 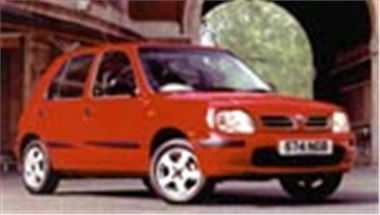 Small engined hatchbacks were particularly strong with as much as £4,150 paid for 99T base model Nissan Micras with around 12,000 miles and a high £4,600 for a 19,000 mile 98S Renault Clio 1.2RN. Current model range Rovers did well too, with £7,550 bid for a 12,000 mile 2000V 25 1.6L 5-door and £12,000 paid for a 23,000 mile 1999V 75 1.8 Club. Other high prices were £3,800 for a scruffy 39,000 mile 98S VW Polo 1.0 in need of paintwork; £5,400 for a 3,000 mile 2000W Hyundai Atoz 1.0+ automatic; £6,850 for a 22,000 mile 99T Renault Laguna 1.6RT Sport; £7,300 for an 11,000 mile 99T VW Polo 1.9Sdi Estate; £7,900 for a 12,000 mile 2000V Ford Mondeo 2.0 Zetec; and £9,575 for a 38,000 mile 97R Fiat Coupe 20v Turbo. Relatively low bids included £3,600 for a 95,000 mile 98R Nissan Primera 2.0Sri; £3,350 for a 95,000 mile 98R Ford Mondeo 2.0Si; £2,700 for a 46,000 mile 96P Citroen Xantia 1.8iLX 16v with a/c; and a derisory £1,850 for a 123,000 mile 97P Rover 618Si. These prices from BCA Blackbushe. Full list of UK auction centres in the Directory on this website.